There is a lot of money waiting to be invested in India, particularly the resources of long-term pension funds and insurance companies, Ashok Wadhwa, CEO of Ambit Group, tells Saikat Das and Baiju Kalesh. These funds would go into long-term infra projects, roads, ports, or airports – in short, assets offering long-term yields. 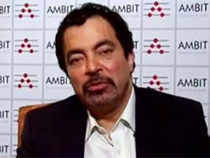 Separately, Wadhwa said that the Insolvency and Bankruptcy Code (IBC) is the most important piece of legislation introduced in the last five years and it has created the fear of failure among promoters on meeting obligations. What is your narrative for the financial markets (stocks, bonds, rupee) with respect to the general elections? This election is likely to give us a relatively stable government. And as long as we have political stability, I believe that we will see the start of a new bull run. It is difficult at this point of time to predict where the stocks, bonds, rupee etc. would go. But I remain positive and bullish on the fact that postelection, we will see a new rally particularly in the mid-caps. The market is super-intelligent and is generally accurate on its assessments. It is clearly evident that the market is already predicting a stable government under a strong leadership. Will companies raise capital through equities after elections? As soon as the results are announced and investors feel comfortable with political stability, floodgates will open. The amount of capital Indian companies will raise in the next 24 to 36 months is likely to be a significant multiple of what has been raised in the last few years. There are lots of companies that are now preparing themselves to launch an IPO. Many companies are also preparing to raise new capital through the QIP structure. So, I personally believe the equity capital markets will be very active over the next 24 to 36 months. How do you see overseas investment interest in domestic assets? We have already seen PE funds, large global infra funds, and pension funds show interest in the services sector, including financial services and healthcare, and in acquiring infrastructure assets like roads, airports and renewable energy assets, Venture capital funds continue to bet big on the startup digital space. With the recapitalisation of banks, I expect a lot more capital to be raised by the banking, financial services and unlisted insurance companies. Digital businesses would continue to be a growth proposition as there are new start-ups coming up each day, new unicorns being born every other month. I’d say the deal market is generally very fertile at this point of time. There is a lot of money waiting to be invested in India, particularly long-term pension funds, and insurance money. We expect this money to go into longterm infra projects, roads, ports, airports - almost any segment that has a long-term yield play. How do you assess the impact of the IBC? IBC is by far the most important piece of legislation introduced in the last five years. We were operating in an environment where the lender was at the mercy of the borrower. We have seen how borrowers have taken advantage of a relatively weak regulatory framework under which the lender had very little recourse. While some cases have got delayed within the IBC, there are several that have also got resolved. The real impact of IBC has to be seen in the context of the many cases that have got resolved without being referred to the court process. The fear that a lender can actually take you to court and that your company can either be auctioned or liquidated has created an environment which has not just empowered the lender, but also created a fear for failing to meet your obligation. That is a truly a significant impact of the IBC. So, how does such fear change borrowers’ behaviour? Borrowers’ fear of failure to repay to the lenders has increased accountability. I think the IBC has led to the process of laying the groundwork for a healthier borrower-lender relationship, a framework that will help Indian banks, particularly publicsector banks, to protect and enforce their rights. The number of cases getting resolved as a result of IBC, and consequently recovery at banks, is simply phenomenal. Ambit has been active in the structured lending space historically. About six months ago, we acquired an SME lending business given the potential in that space. I continue to believe that the demand and credit uptake for NBFC lending is a very large part of the growth story of the Indian economy. Hence, there is no challenge on the asset side, I think the marketplace offers high-quality business opportunities. However, there are some other challenges. The first is leverage. As long as NBFCs follow prudent leverage policy, in other words they don’t over-leverage their business, and in particular don’t create asset-liability mismatch, I think the business can be grown at a healthy rate. Second, there are several NBFCs that were established purely because some promoters believe that it’s a great valuation story. People need to understand that NBFC is as difficult a business as any other manufacturing or infrastructure business in this country. So, if we address the greed factor and build the business based on well-established blocks of good underwriting, asset-liability match, not a significant over-leverage, I think the opportunity in the market is large. So, is the IL&FS-driven crisis a blessing in disguise? No crisis of this kind can be called a blessing. After IL&FS, banks and other providers of credit to NBFCs withdrew their support from the market. Thanks to the RBI intervention and a pragmatic approach, we were able to avoid a crisis. In my view, we have too many NBFCs, some of which were only pursuing the valuation game. I expect a consolidation in this space, resulting in a reduction in the number of NBFCs. The opportunity for high-quality NBFCs to continue to grow is significant. I believe NBFCs will continue to provide valuable capital, particularly to the Indian SMEs.